Connections of Gronkowski have indicated an American campaign could be on the horizon – perhaps the “Road To The Kentucky Derby” Conditions Stakes at Kempton gives some indication of the ultimate aim. Named after New England Patriots player Rob Gronkowski, Jeremy Noseda’s charge has made quite an impression in winning two of his four starts. Arsenio Lupin appeared to have felt the full benefit of a wind operation when powering home on his return from a long lay off at this track in mid-February. The 32Red Handicap represents a little step up in class, but he will once again by partnered by 7lb claimer Harry Burns and that allowance is another positive in his favour. White Desert was last seen when disappointing at Goodwood back in August, but it is worth keeping the faith in the 32Red Casino Novice Stakes. A half-brother to Red Cadeaux, White Desert did well to win a 10-furlong Newbury maiden last July but just never looked quite the same when only fifth over a mile-and-a-half at Goodwood. Made Of Honour is the choice in Newcastle’s 32Red Casino Fillies’ Handicap. Karl Burke drops back to seven furlongs with his charge here after seeing her scrape home by half a length over a mile at Lingfield. Cadeau Magnifique can kick off a double for Richard Fahey and Paul Hanagan in the Betway Handicap. The six-year-old ran with immense credit to finish fourth on his return from just short of a year off the track. 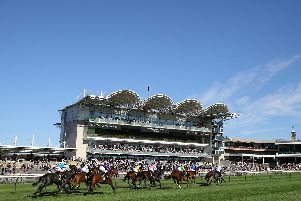 Right Action can then add to the stable tally in the sunbets.co.uk Handicap. Beaten three-quarters of a length by Spare Parts at Wolverhampton last time out, a repeat of that kind of level should see him in the mix here. Clonmel: 2.10 Caltex, 2.40 More Information, 3.15 Princess Mahler, 3.50 Hawk Eye Down, 4.25 Fitzhenry, 5.00 Just Get Cracking, 5.35 Pont Aval. Kempton: 5.55 Section Onesixsix, 6.30 New Rich, 7.00 White Desert, 7.30 GRONKOWSKI (NAP), 8.00 Arsenio Lupin, 8.30 Mister Freeze, 9.00 Viola Park. Newcastle: 1.50 Katie Gale, 2.20 Desert Ruler, 2.55 Yabass, 3.30 Cadeau Magnifique, 4.05 Made Of Honour, 4.40 Right Action, 5.15 Rosina.